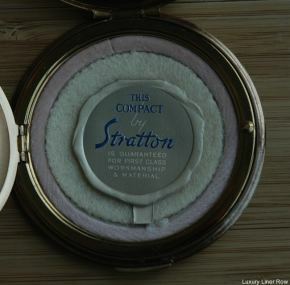 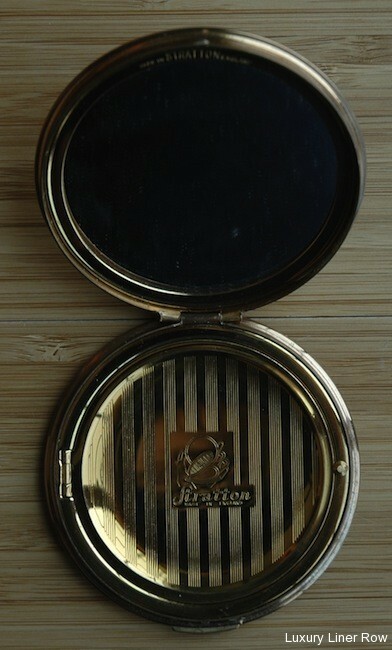 Super Stratton compact from the Ascania. 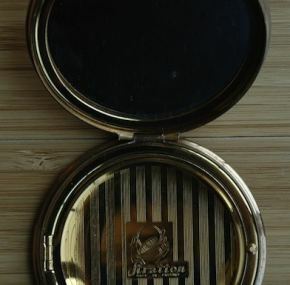 In great condition and never used. Complete with the cardboard insert from Stratton. 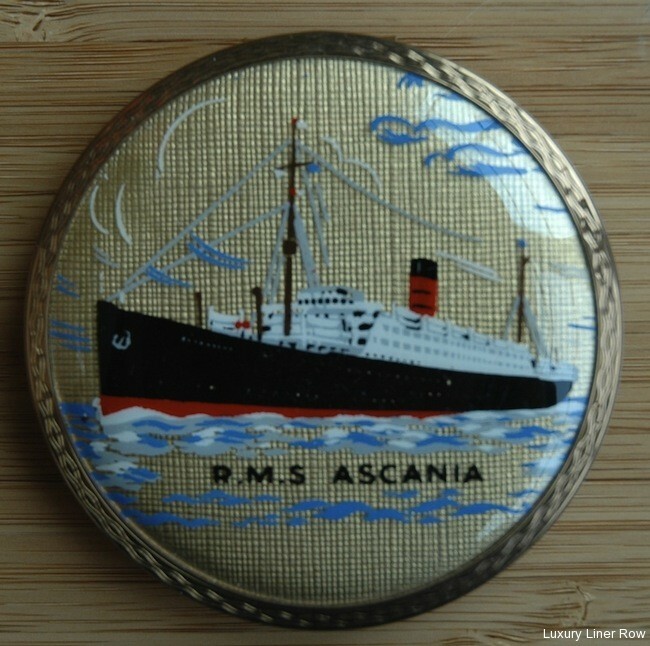 Completed in 1925 as the fifth of Cunard’s “A” Class ships that served Canada, the Ascania had a long a varied career. This grand old Cunarder was finally retired in December, 1956.